Togital POS is designed to increase productivity, efficiency, and most importantly, retain your customers. Keep those lines moving quickly with our user-friendly, customizable touch screen interface. Red Rock shows you exactly how far a cloud-based point-of-sale device can be developed. This full-featured point-of-sale device is powerful yet easy to use and has minimal hardware requirements. Togital point-of-sale software works both online and offline, utilizing its best in breed cloud technology. Togital Webshop is designed to be used from tablets, mobile phones, as well as computers. Your customers can seamlessly plan travels, buy tickets, and use bonus cards. Customers can also decide whether they would like to have their tickets sent as a print@home ticket or to their Togital App. The product-, tariff- and price-structure is configured via the Togital Backoffice. Customers can view their ticket history and refund from the same interface. 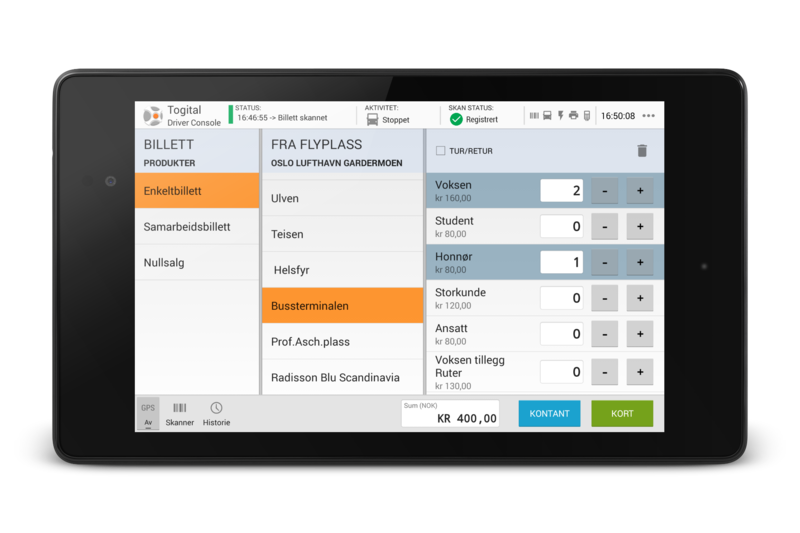 Togital Webshop is extremely versatile, and can be adapted precisely to your processes, products, and payment methods. 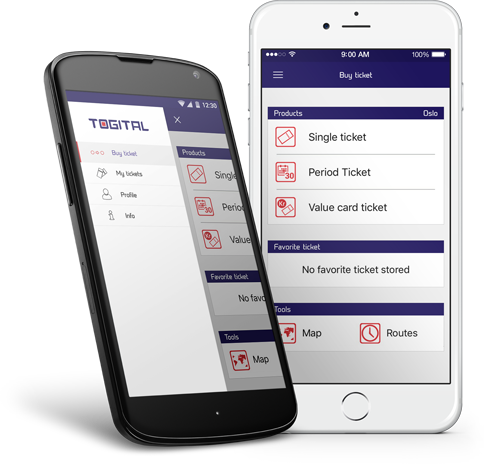 The Togital App removes the need for passengers to carry cash or wait in line to buy a ticket. The app also allows access to mobile services, including trip planning, arrival times, and service alerts. By adopting mobile ticketing, transport authorities and operators around the world are able to drastically reduce the cost of fare collection, increase data insights, and rapidly deploy innovation to their organisations. Visit Togital.com to see a complete presentation of our platform or contact us today for more information!